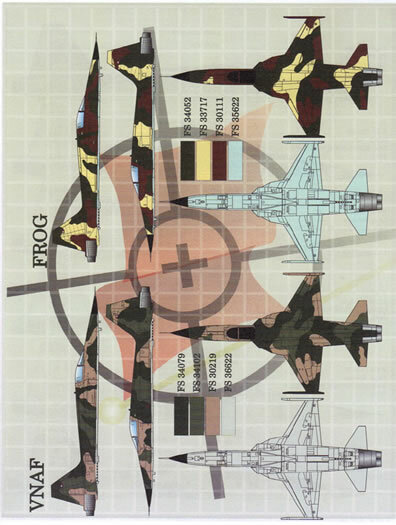 A natural accompaniment to the new AFV Club F-5E kit. 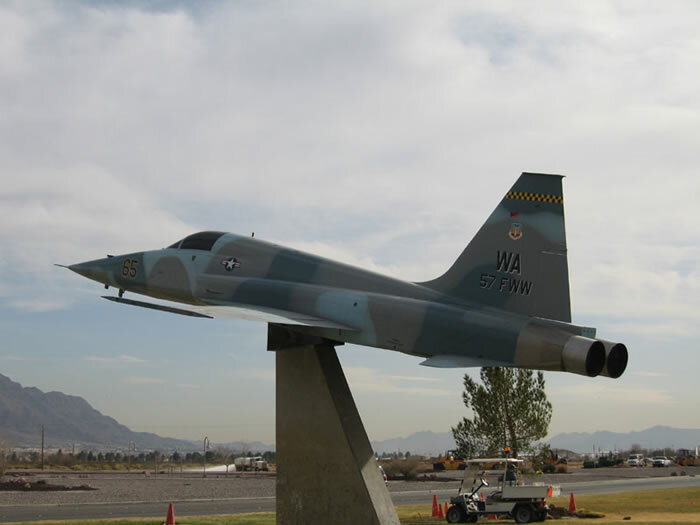 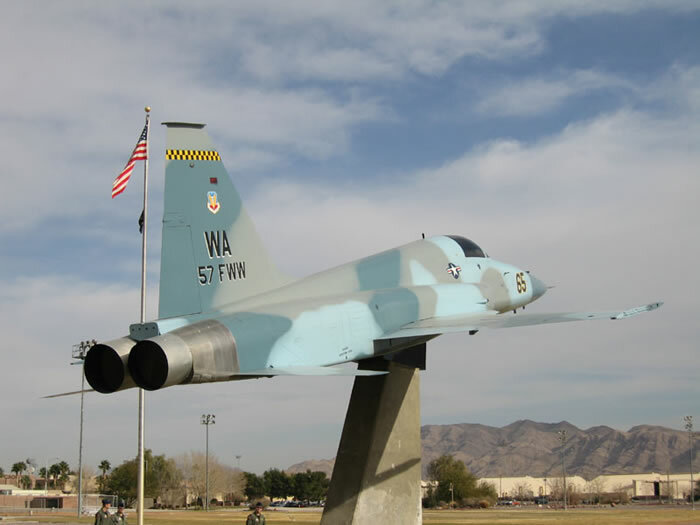 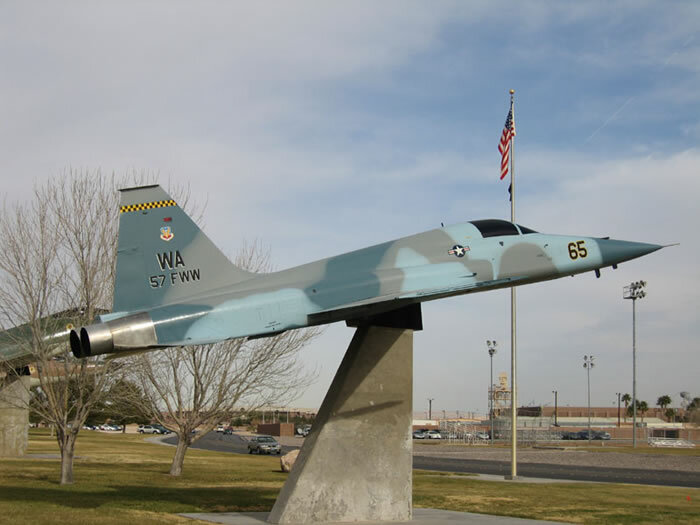 While the F-5Es of the 64th and 65th Aggressors have long since disappeared from the skies over the Nellis Ranges, ending up on concrete plinths, boneyards and in museums while being eventually replaced by F-16s and F-15s in a regeneration of the USAF Aggressor program, the unusual camouflage schemes applied to the Red Flag jets still attract the attention of modelers looking for something away from the drab grays of modern fighters. 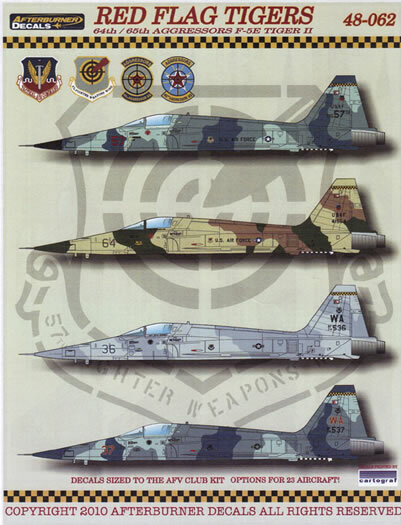 With the release of a state of the art 1/48 scale F-5E by AFV Club it is hardly surprising that an enterprising decal manufacturer like Afterburner would turn their attention to producing a sheet covering Aggressor Tigers. 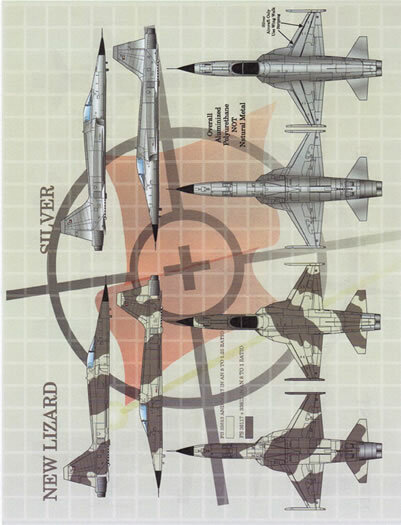 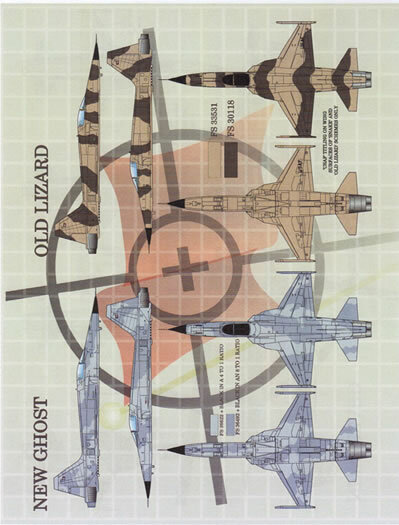 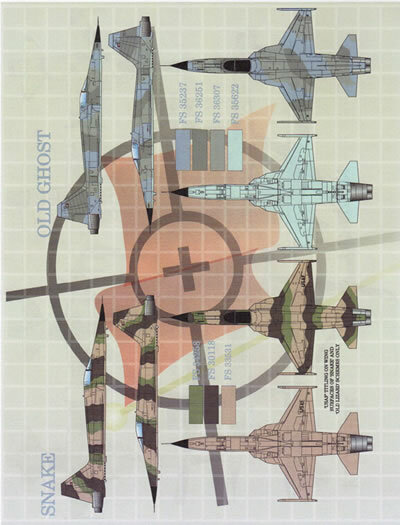 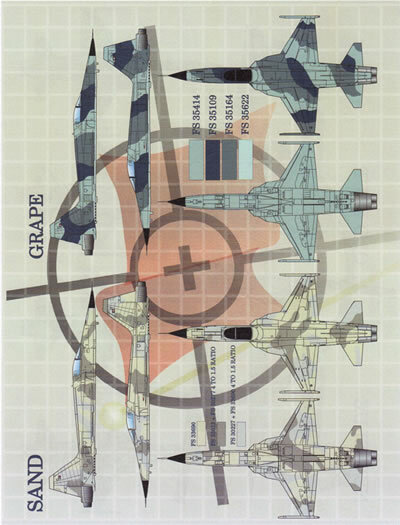 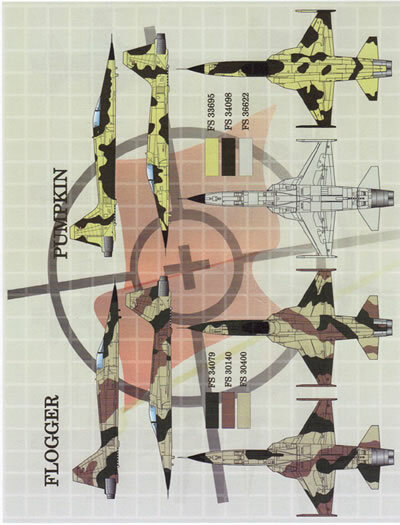 So all in all 14 different camouflage schemes as applied to the F-5s from 1979 to 1987, each one illustrated in four view drawings with applicable Federal Standard colour references or mixes as appropriate. 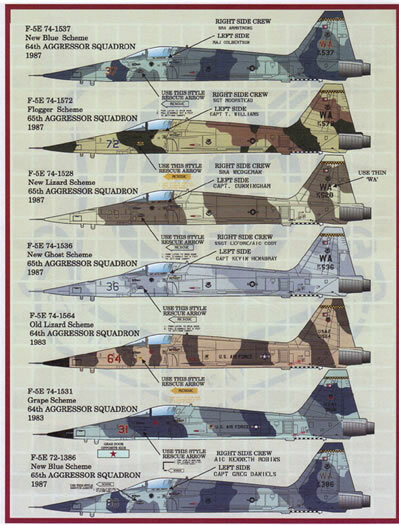 That said finding some of the less common colours may be difficult in most mainstream paint ranges. 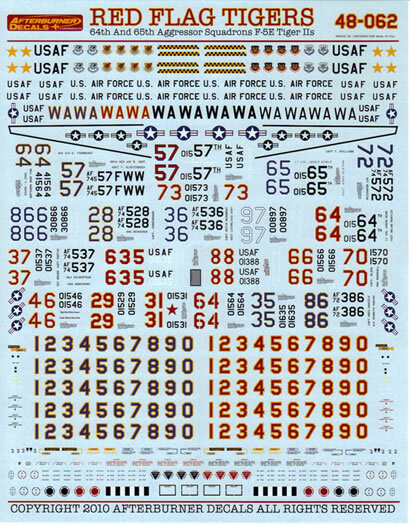 Detailed instructions are covered in 13 A4 pages and include a page of stencil placement diagrams. 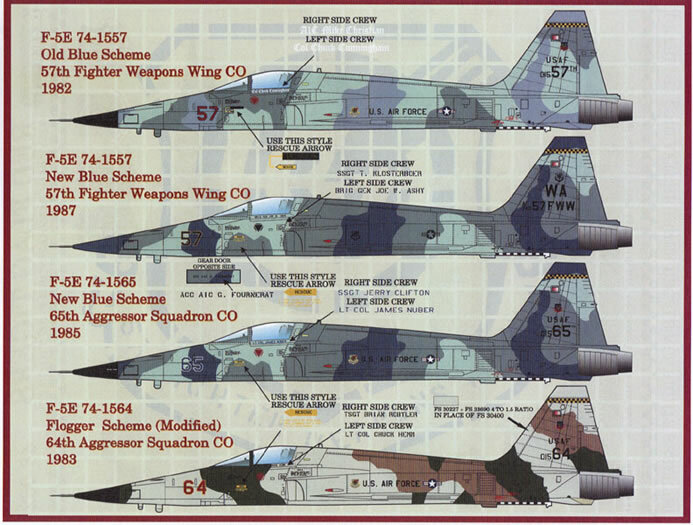 Overall this is another quality set of decals from Afterburner decals which covers some of the more interesting aspects of USAF operations at Nellis at the height of the Cold War. 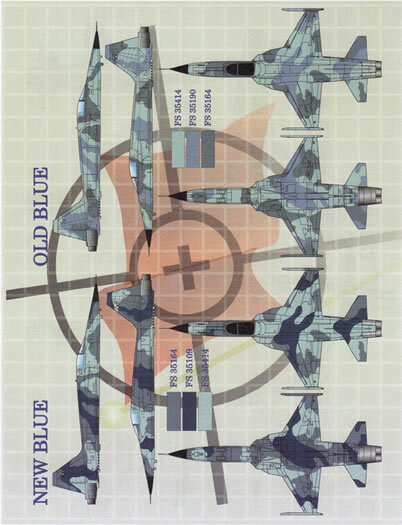 The AFV Club F-5E comes ready straight from the box to model a Red Flag aircraft including an ACMI pod and is just crying out for these decals to produce a unique model.